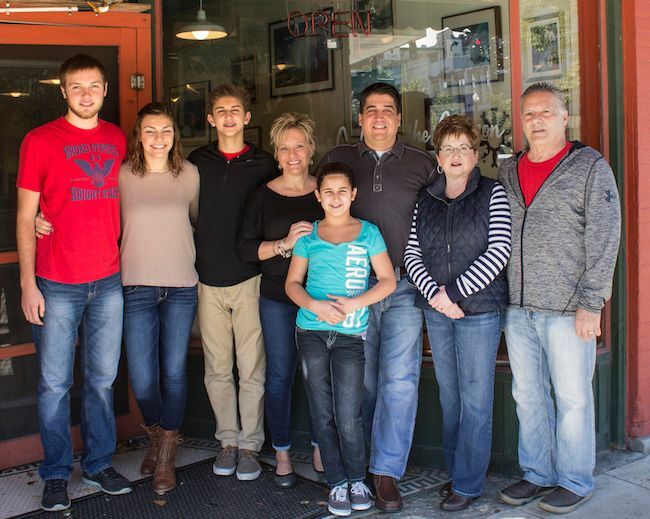 Beckett’s Burger Bar, in downtown Bowling Green, is a family-owned business that caters to both the college and the community. George and Amy Strata purchased the business in 2007 and, in 2012, George's parents, George and Phina, joined them in ownership. True to the name “family business,” you will always find one of them or their children taking orders, washing dishes, working in the kitchen, tending bar, or socializing with the customers. The Strata family considers all their visitors to be part of the "Beckett Family." Beckett’s Burger Bar’s menu is tailored to local tastes; you are invited to come in and try favorites such as The Beckett, The Falcon, or BYOB (Build Your Own Burger). The staff works hard to add variety by offering dinner and drink features for lunch, after-work gatherings, and dinner. Come experience for yourself the community atmosphere with a friendly staff that will know you by name. Whether it’s a lunch with co-workers, cocktails and appetizers at happy hour, dinner and drinks with family and friends, a free game of pool, or a late night college outing, consider Beckett’s Burger Bar your go-to Bowling Green destination!